McCain Walls® folding stands are quick and easy to assemble, install, break apart, and store. 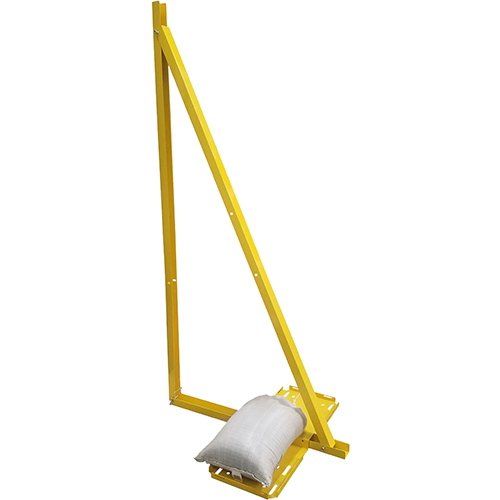 When assembled, the folding stands form a triangular support mount configured by a folding bracket, a sandbag mount, clevis pins, and screws. The lightweight, folding stand are ideal for free-standing McCain Walls systems. Dimensions: 88"H x 48"D x 31"W (plate) Weight: 32 lbs.